Leading UK manufacturer of guitar hardware and finishing products. Inventors of world class vibrato bridge technologies for maximised dynamic, tone and tuning stability. Delivering specialist finishes, tools and clinics to help 1000's of enthusiasts create their own custom guitars. Delighting customers one after another. "with the PRS DD upgrade the difference in tone was well, quite simply remarkable … more grunt, guts, definition, acoustic volume and attack"
" I just don't know what I would do without the Wudtone trem on my guitar"
"I'm speechless, this CPVT is awesome! the balance, the bar, the tone, the design are all fantastic... the tuning stability is incredible. 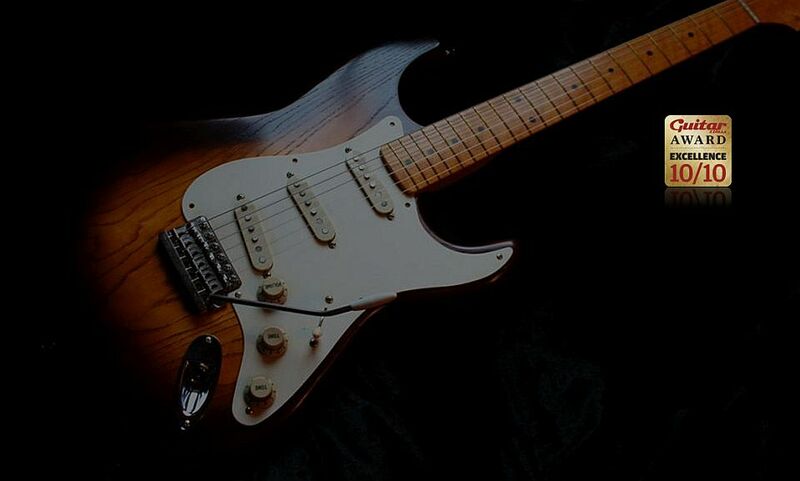 I don't want to put my guitar down"
"I'd seen guitar set up courses advertised but they didn't include nut cutting and dressing (a huge oversight) and I needed to learn this and more so Andy’s course was too good not to try.. I had two days of guitar build bliss.."